I had so much fun with this swap! 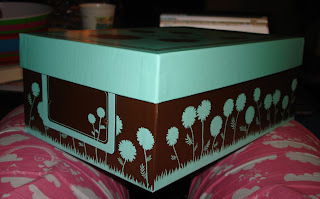 Miss Amy is getting a boxful o'blue goodies! 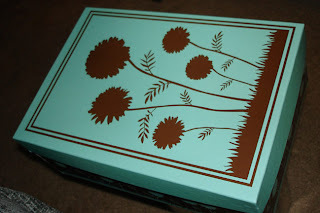 and the box is so damn pretty that I want to buy myself one. I will post the contents in a few days after she receives the box! I bought a different patterned one for my ITEIV downstream pal to pack up her purse with some other goodies when I mail that out.